A clean, industrial and organic rebrand for YOU Salon. 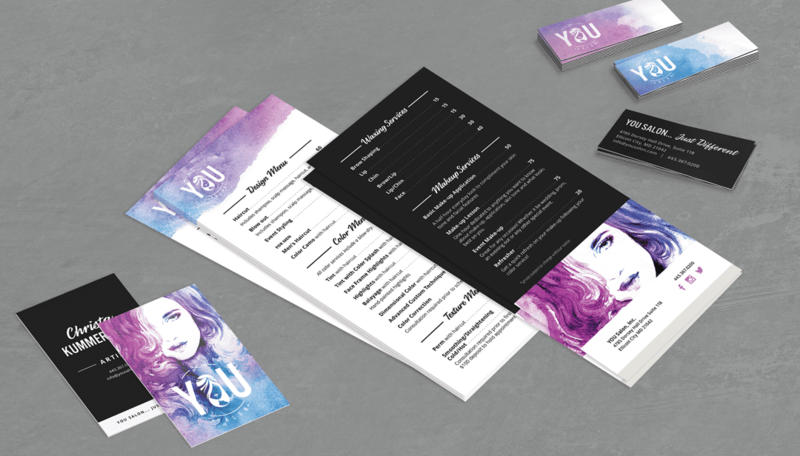 A refined, modern identity offering a fresh face in the edgy, stylized hair industry. 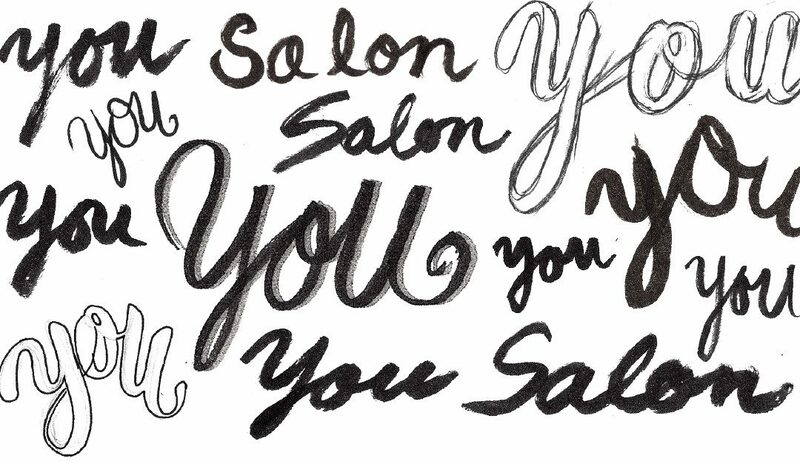 YOU Salon operates a little differently. Offering clients the opportunity to work with multiple stylists, YOU embraces a team mentality. EPS became its newest stylist, using a creative brief questionnaire and Pinterest board to get ideas flowing. 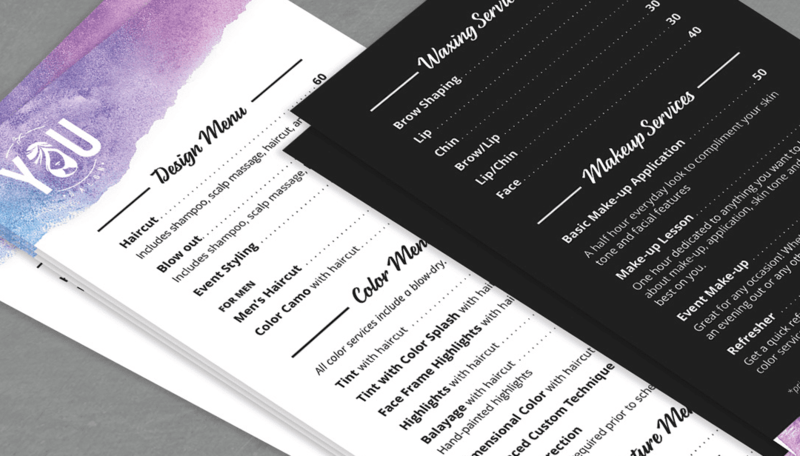 We noted every detail along the way, including the client’s favorite color (it’s purple) and the corporate identities it most admires (all hail Starbucks). Sharing our research and documentation allowed us to work together every step of the way. The result: an identity as unique and fresh as the cuts YOU offers its customers. We started with a variety of handdrawn script fonts in a circular motif to balance the human element with a more simple, traditional presentation. We experimented with a combination of type and imagery to add a whimsical, organic feel. Streamlining was key to longevity. EPS worked to strike a balance between trendy and timeless. A good haircut should feel fresh well after leaving the salon. The same applied to YOU’s identity. 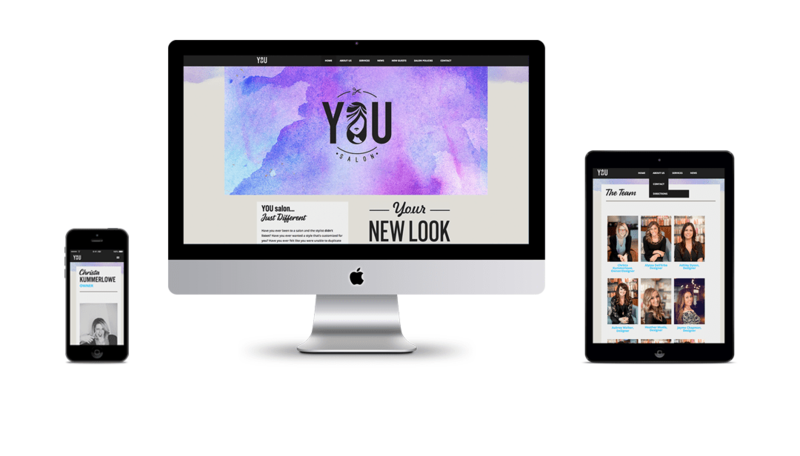 YOU’s final mark mixes type, imagery, and whimsy in a clean, refined style. Reflecting the newly-renovated salon, this artistic identity allows for versatility while creating a strong foundation for a cohesive, well-branded experience. Working with Eleven Peppers studios was a breath of fresh air. When I began my rebranding process it was quite overwhelming to think about all the aspects on my own. Eleven Peppers took time to research, understand, and listen to what I was looking for and what feeling I was trying to convey. They also presented options and made changes after my feedback. I couldn’t have been happier with my end result. I would recommend them to any business looking to re-engineer their company. PHOTOS COURTESY OF MARTYR AND LEE PHOTOGRAPHY.